A's & Aces greatly appreciates all of our partners! We could not do what we do without the support, in all of its various forms, that we gain from our partners. We truly value partnership. In fact, we emphasize the need for collegial partnerships to all of our participants and their parents. Moreover, we teach the ingredients of good partner relationships as one of the core life skills. Dillard University has continuously provided its six-court tennis facility and classrooms for after-school programming throughout the academic year and our summer camps. Since 2009, when some of our participants first outgrew the appropriateness of the 10&U tennis format that introduced them to tennis, Dillard opened its doors to our students. The opportunity for our participants to be welcomed on this HBCU campus and absorb an atmosphere filled with students in 13th-16th grade, is an invaluable experience that helps them envision their own potential. Tulane University's Center for Public Service: many students who participate in The Phyllis M. Taylor Center's social innovation, social entrepreneurship and design thinking classes volunteer with A's & Aces programs and partner schools. Over the last few years, the AmeriCorps Program at Tulane has provided many AmeriCorps WaveCorps members to assist during our summer camps. A's & Aces is a United States Tennis Association (USTA) member organization, both as a four star National Junior Tennis and Learning (NJTL) Chapter (the highest rating) and as a Community Tennis Association. The NJTL mission is fully aligned with A's & Aces' mission. 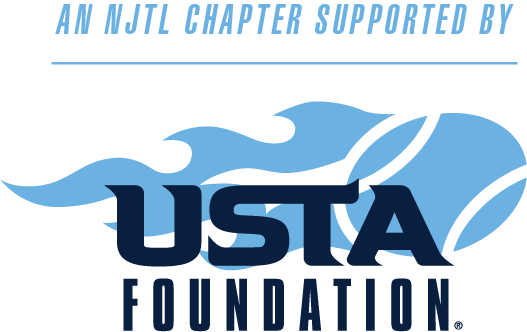 All NJTL Chapters have free access to the NJTL Life Skills Curricula which utilize tennis to empower youth with the skills, values and experiences they need to become responsible and successful citizens (e.g., Academic Creative Engagement™ (A.C.E.) Curriculum, First Serve Curriculum). A's & Aces is supported at the national, sectional and district levels by the United States Tennis Association Foundation (USTAF), Southern Tennis Association (STA) and Louisiana Tennis Association (LTA), and at the local level by the New Orleans Metropolitan Area Tennis Association (NOMATA). A's & Aces shares the VISION of New Orleans Campaign For grade-Level Reading to ensure all students in New Orleans read at grade level by the end of third grade. A child’s ability to read by the end of third grade is an important predictor of future success. Children who read on grade level by the end of third grade are more likely to graduate high school and have higher earnings as adults. In New Orleans public schools, only 31% of third graders read on grade-level by the end of the third grade. This means the vast majority of our city's children miss this critical milestone. TrueSport® is an initiative of the U.S. Anti-Doping Agency (USADA) that equips parents, coaches, youth, educators, and athletes to cultivate, champion, and uphold sportsmanship and the positive life lessons that sport teaches. USADA’s vision is “to be the guardian of the values and life lessons learned through sport” and its mission is, in part, “to inspire present and future generations of U.S. athletes through initiatives that impart the core principles of true sport.” USADA is the independent, congressionally recognized, national anti-doping organization for Olympic and Paralympic sports in the U.S.
Alliance for a Healthier Generation provides nutrition and life-skills curricula. The Alliance was founded by American Heart Association and the Clinton Foundation as a response to the growing rate of childhood obesity. Constant Contact "Cares For Kids" program supports educational and social non-profit organizations that help children. All paying customers in good standing are eligible to sponsor a local community organization that is 100% focused on programs for children with a free Constant Contact account. 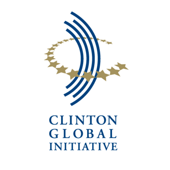 Clinton Global Initiative (CGI) was founded by President Clinton in 2005 "to help turn good intentions into real action and results." A’s & Aces is a project of the Clinton Global Initiative (CGI) and was featured by President Clinton during the Clinton Global Initiative University inaugural meeting held in New Orleans, March 2008. President Clinton's personally recognized A's & Aces and Dr. Monhartova's contributions during the “Special Session: Rebuilding a Sustainable New Orleans". A's & Aces is profiled in the William J. Clinton Foundation's 2008 Annual Report. The Clinton Global Initiative is a non-partisan project of the William J. Clinton Foundation, a 501(c)(3) nonprofit organization. Since 2009, tasc Performance has been a leader in the innovation and reinvention of performance apparel. It is a local, family-owned apparel business working with fabrics sourced from bamboo and developed through their unique process (BamCo®). The family brings 68 years in textile development, garment design, and manufacturing to tasc Performance apparel. The result is a unique fabric that feels better than cotton and performs without chemical enhancements. tasc Performance provides A's & Aces with staff uniforms. ﻿Second Serve Tennis Center is a locally owned and operated tennis specialty store offering a large selection of rackets, shoes, clothing, & tennis accessories for over 30 years. Visit Second Serve at 3951 Veterans Memorial Blvd in Metairie for full, professional racquet servicing (stringing, re-gripping, etc. ), or shop online at TennisNOLA.com for racquets and shoes.